The Dublin Metro Brass is the most recent addition to the Dublin Community Bands family. This ensemble was created to allow musicians the opportunity to experience the Brass Band world without the high intensity and full-year commitment of most competitive Bands. The abbreviated rehearsal season runs from January through June each year, with the goal of competing and performing at events like the Dublin Festival of Brass, the North American Brass Band Association Championships, and the Ohio Brass Arts Festival. Merging the "community band" and "competition band" experiences, Dublin Metro Brass is open to all interested musicians (no audition necessary), but will require a season-long commitment from its members to attend all rehearsals and practice regularly at home in order to effectively prepare for competitions. For more information, please fill out the interest form or contact Dr. Patrick Herak with any questions. 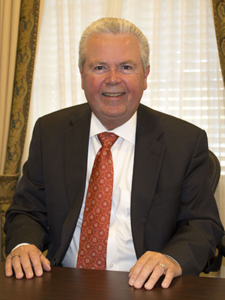 William L. Ballenger serves as Director of the School of Music at The Ohio State University. Prior to his appointment at OSU he served for thirteen years as Director of the School of Music at Texas Tech University, and twelve years as Department Head of Music at Oklahoma State University. Professor Ballenger’s background is instrumental music, and his instrument is the trumpet. During his undergraduate days at the University of Iowa he played in nearly every available ensemble, from brass quintet to brass ensemble to symphonic band, marching band, and Orchestra. Professor Ballenger was a trumpeter for the inaugural 20-member Disney All-American College Band, a program that has continued for 47 straight years. His first collegiate appointment was the University of Nebraska-Lincoln where he served as Associate Director of Bands and Director of the Cornhusker Marching Band. He also conducted the UNL Brass Ensemble and coached several brass quintets. While at Oklahoma State University Professor Ballenger helped to re-establish the Stillwater Community Band, and was that ensemble’s conductor for 13 years. While at Texas Tech University, Professor Ballenger conducted four month-long summer musical productions of South Pacific, Annie Get Your Gun, and Oklahoma. Professor Ballenger’s most recent clinician engagement was in Anchorage, Alaska where he worked with several of the public school bands in and around Anchorage (March 2018). 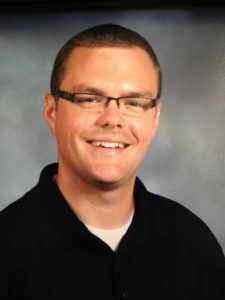 Kevin Wallick is in his ninth year teaching at Dublin Coffman High School. He is a 2010 graduate of The Ohio State University where he obtained a Bachelors degree in Music Education, and recently completed a Masters of Music in Music Education degree from Capital University. At Dublin Coffman High School, Kevin conducts the Chamber and Concert Orchestras, Pit Orchestra, the Emerald Band, assists with the marching band. He also assists in teaching beginning band at Dublin Sells Middle School. Under his direction the Chamber Orchestra, Concert Orchestra, and Emerald Band have all consistently received high ratings at OMEA Adjudicated Events. Under his direction the DCHS Chamber Orchestra had the honor of been selected to perform at the 2018 OMEA Professional Conference. Outside of public school teaching Kevin is an active performer and maintains a small studio of private students, and has held the position of South-Central Region Chair for the Ohio Music Education Association.